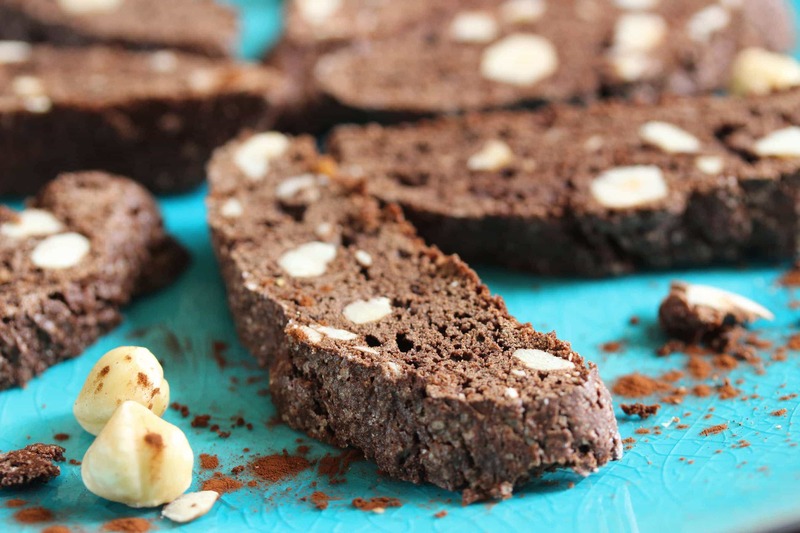 Gluten Free Biscotti With Chocolate And Hazelnuts | The Free From Fairy. 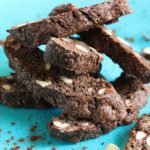 Today I’m sharing my recipe for gluten free biscotti. The wonderful thing about this recipe is that you can make it what ever flavour you like. 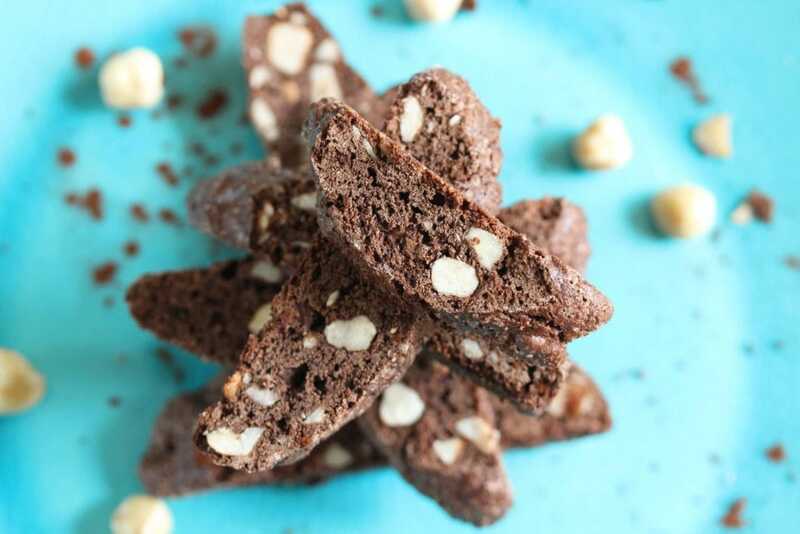 I’ve chosen to make my gluten free biscotti with chocolate and hazelnuts, that classic Nutella combination. However, I share the recipe with the hope that, like all my recipes, it will inspire you to make it your own. Traditionally biscotti contains nuts but I rather fancy making a chocolate orange version. The kids aren’t too keen on nuts in biscuits so I suspect that will be my next batch. Orange and cardamom is a powerful combination too so that might just have to be tried as well. I’ve created this one to share at a gluten free Italian cookery demo that I’m giving on Thursday. If you’re interested I think there are a few tickets left. Just hop over to the Perrylicious Facebook page for more details. I’ll be sharing my tips on gluten free cooking whilst showing people how to make gluten free pasta, gnocchi, pizza, polenta cake and these traditional Italian gluten free biscotti biscuits. 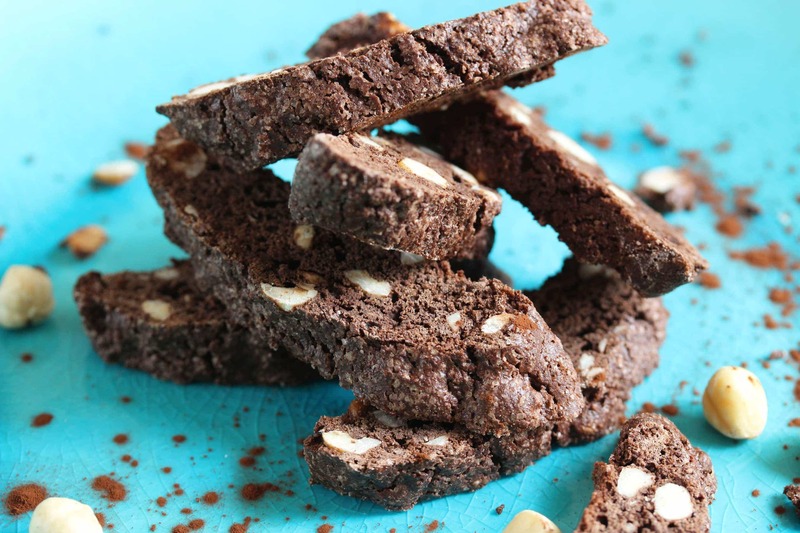 Biscotti are biscuits that are twice baked. First you roll the dough into a log shape and bake it. Then after allowing it to cool a little, the log is cut into slices and the slices are baked again. You can adjust the second baking according to how you like the biscuit to be. A shorter bake time will lead to a softer biscuit while a longer bake time will lead to a hard and crunchy biscuit. I personally like the latter but I’m not sure you would if you had false teeth! Like all gluten free biscuits that I’ve baked I don’t think you can go wrong with these. And I’d challenge anyone who said they knew they were gluten free (and dairy free in fact). With just 6 ingredients that you’re bound to have in the house what’s stopping you? As with all my recipes I’ve considerably reduced the sugar in this recipe, but it is still very sugary so go easy with them. They’ll last for a good few days in an airtight container. Do let me know what flavour you decide to make them. But remember, if you’re removing the cocoa powder you’ll need to replace that with flour or the dough will be too soft. 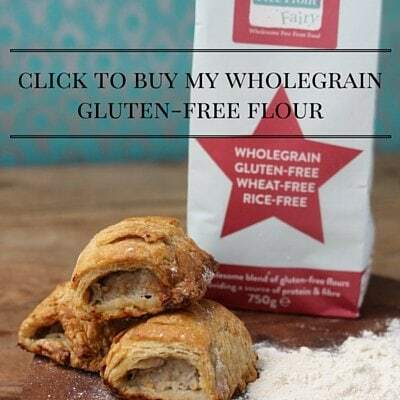 If you want to get hold of my wholegrain gluten free flour blend to bake these with you can find it by clicking on the picture below. The plain flour will be back in stock at the end of this week. Using a sharp serrated knife cut each log into slices, cutting diagonally across the log in approx. 1cm thick slices. They look yummy, Nutella is my favourite so I love your flavour combination! Yay! Such a versatile recipe! I’d like to make my own favourite flavors by myself. Thanks for sharing! Oh I hope you do make your own flavours…but please share them!